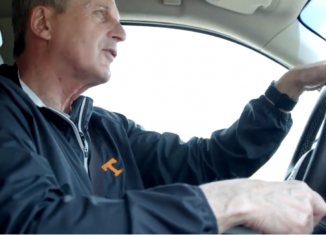 Last year, Vol fans accused Tennessee’s team of quitting on former head coach Butch Jones during the season and putting forth a less than stellar effort down the stretch of the season. And the results made it hard to question that notion. 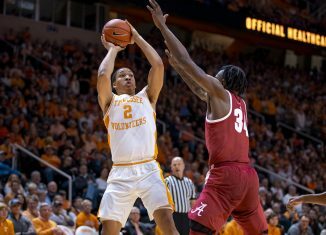 The Vols suffered a historic loss to Georgia, were blown out by Alabama, Missouri, LSU, and Vanderbilt, and slogged through a program-worst 4-8 record and a winless 0-8 SEC mark. Redshirt junior offensive lineman Drew Richmond spoke to the media on Tuesday, and he was asked about the team’s improvement and mindset through five games this season. And according to Richmond, this year’s team has a big desire to win and prove themselves to those watching. 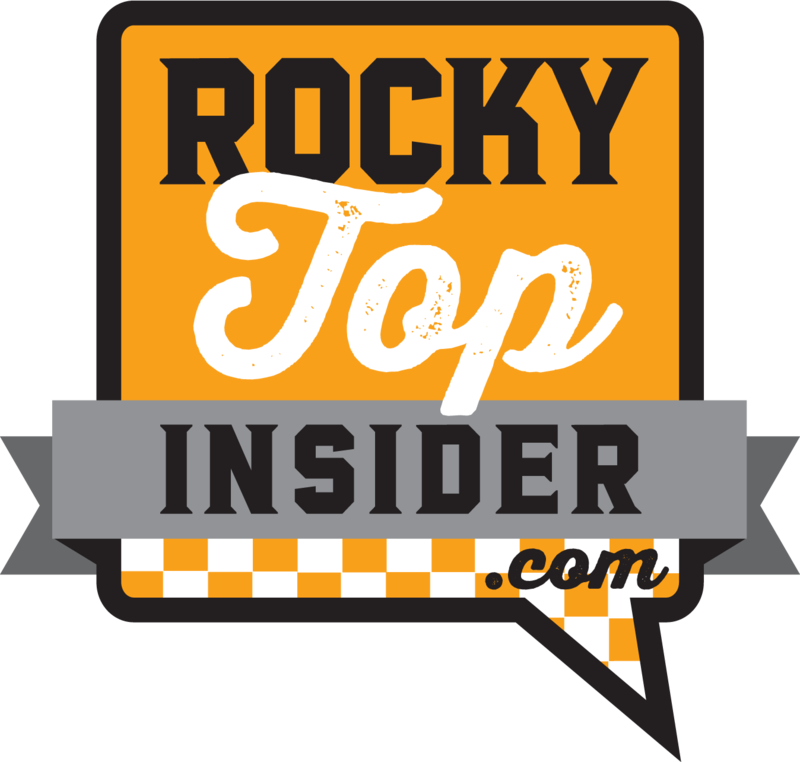 Become a member of RTI Premium today to get all of our in-depth analysis on Tennessee’s football team, Vols recruiting, and more! 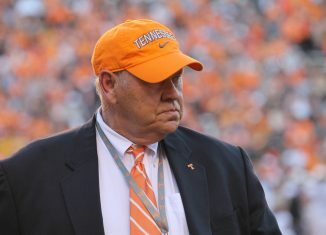 All three of Tennessee’s losses this season have come by 26 points apiece, but according to both head coach Jeremy Pruitt and AD Phillip Fulmer, the Vols have shown more “strain” the last two games and haven’t given up despite facing big deficits. And despite the team still not playing “up to standard,” Richmond believes the same thing. “We haven’t played up to standard,” Richmond stated. “I feel like we’ve improved. We’ve been getting a lot better. I fee like we’ve had some good games where we’ve had 200, 300 rushing yards, but we’ve just got to continue to protect the quarterback. We can’t let Jarrett (Guarantano) take a lot of hits. 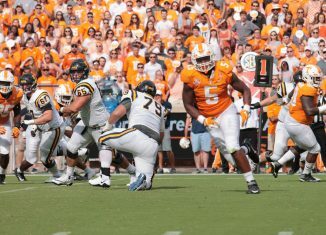 Tennessee ran for 345 yards against UTEP, and they totaled 190 yards on the ground against ETSU. But against Power Five competition, they’ve struggled to have consistent success on the ground. 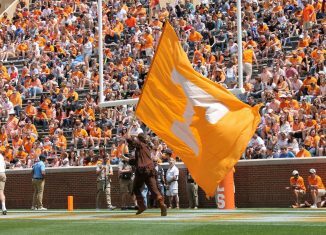 The Vols ran for 129 yards against West Virginia but averaged just 3.4 yards per carry, totaled 156 yards against Florida while averaging just 2.9 yards a carry, and they managed only 66 rushing yards against Georgia. Not only that, but the Vols have let quarterback Jarrett Guarantano get pressured far too often. The Vols have allowed eight sacks so far this season, which isn’t all that high compared to the rest of the FBS. 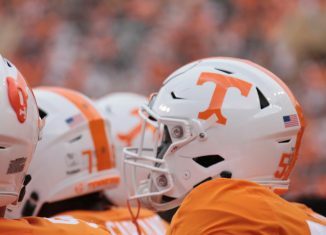 But Guarantano has been harassed and hit far more times than that, and on the season the Vols have given up the most tackles for loss per game (7.6) of any team in the SEC. 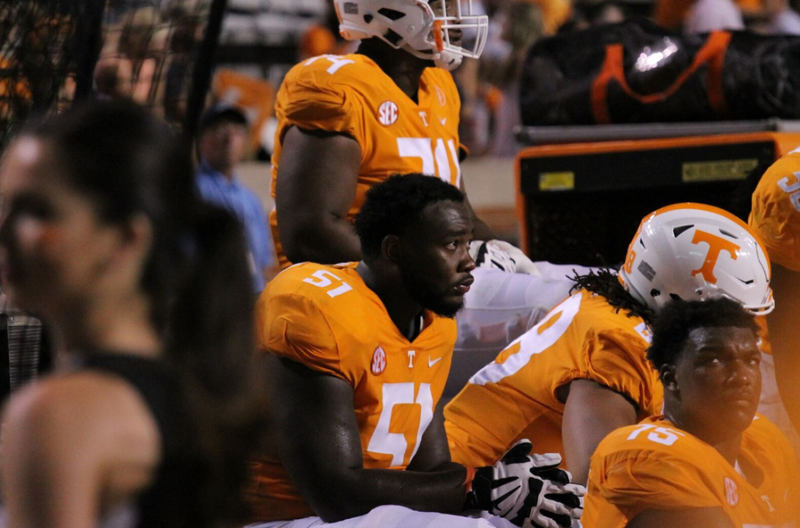 Last year, the Vols dealt with a large amount of attrition on the offensive line. 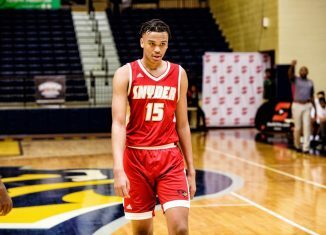 Several players went down with injuries, and Venzell Boulware transferred mid-season as well. 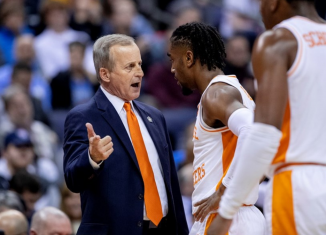 This year, Tennessee hasn’t had quite as many injuries as last season, but UT has already lost starting center Brandon Kennedy for the season, and reserve guard Riley Locklear is sidelined for the next couple games with a meniscus injury. Richmond says that injuries are just part of the game, and a true team takes those bruises as they come. 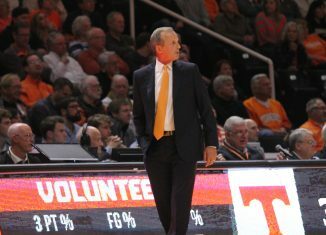 Tennessee’s line has struggled to come together because of all that shifting and players moving to new positions. Richmond believes that’s the one area the line specifically needs to continue to work on. 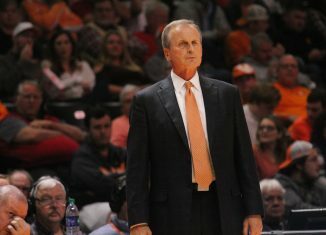 And he’s confident they’ll continue that work, because this team isn’t made up of quitters. The Vols will have their hands full on Saturday when they take on Auburn’s talented front seven. The Tigers are second in the SEC in tackles for loss per game (8.2), and they average 2.5 sacks per game as well. 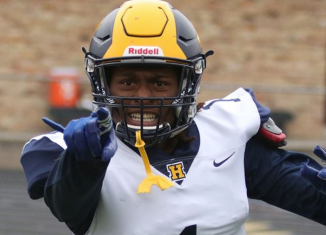 Tennessee hasn’t faced a team with the kind of quality front seven like the Tigers have yet this season, and this will be their biggest test. 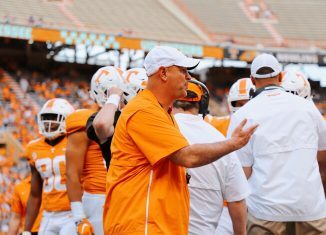 But according to Richmond, this team isn’t made up of quitters, and the Vols’ offensive line will continue to work on stopping opposing defenses from getting to the backfield. And Saturday will provide the perfect measuring stick for this offensive line.